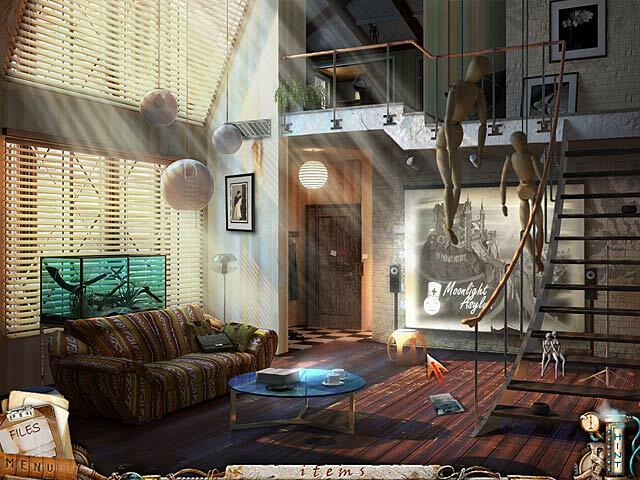 Mac Games > Hidden Object Games > F.A.C.E.S. F.A.C.E.S. is rated 4.3 out of 5 by 57. Rated 5 out of 5 by pennmom36 from F.A.C.E.S. Standard Edition Looking for a H.I.D.D.E.N O.B.J.E.C.T. game that gives you the C.R.E.E.P.S? Look no further because this game has mastered the heart pounding, unnerving gotta escape the asylum before it's too late genre. When you have an extraordinary paranormal gift, it may very well be just that, a gift, B.U.T. it could just as easily be a curse! Because of your "gift" you have been experimented on, tortured, even used for criminal purposes, and now, you have been marked for extermination! If you're going to escape this filthy prison, you'll have to use your "gift" to escape the condemned asylum. Problem is, your conscience won't allow you to leave knowing there are other tortured patients who are scheduled for extermination, behind, hopefully it's not too late for them! This may be an older game, but it doesn't matter, because the graphics are meant to be grainy, gritty, and plain old creepy, and I liked it! 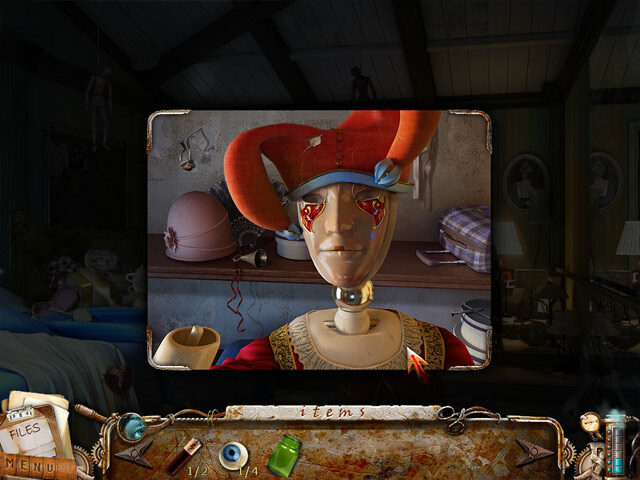 The Hidden Object Scenes are simple list items with no interactions, but all of the HOP's have items you would expect to see in an abandoned hospital, old, dirty and unkempt. The Mini Games are also in tune with the game, my favorite game was quite challenging, having to find the one x-ray that was different from the others. At first the x-rays are obvious, by the third set it isn't so obvious. The Collector's Edition of this game, is the only one I know of that let's you play a "slice" of the Bonus Chapter, which is really cool in my opinion. The Collector's Edition also has Wallpapers, Concept Art, Music, a built in Strategy Guide and a Bonus Chapter, either version is a must have game for fans of this genre, enjoy! Rated 5 out of 5 by Dahlia2012 from Wowie Zowie! This game drove me bonkers, especially the first segment before in the living room and the room at the asylum. Once I broke out of there, it was much easier to figure things out. The story is creepy and the characters such as Icarus are otherworldly. HOGs are scattered throughout the game and most are very difficult but not impossible to complete without using the hint button. As far as gameplay, this is a game for logical and sharp thinkers, which I appreciated. You''ll really use your wits to figure out how to navigate and place the objects you pick up in inventory. One thing that would have helped me is to recall which floor each of the characters lived on. I did a lot of back and forthing because I couldn't recall where a certain room was etc. A map would have helped. I didn't find the journal to be much help but it gave a few clues about progressing through the asylum and addressing certain tasks necessary for me to complete. When using the hint button, the developer assumes you know your way around but several times, I couldn't find my way to a location. All in all, it was with supreme satisfaction that I completed the game and rarely used the hint button. I think this game is one of the most difficult I've played and is a great mental challenge for everyone. I was pleased to find out that a sequel is in the works. Rated 5 out of 5 by zumapuma from Kept My Interest I'm actually a bit tired of all the scary/murky/evil storylines on the Ho games, but I still gave this one a try.... and was not grossed out. I found the story very interesting and the graphics were excellent. Yes, going up and down the elevator got old and you could easily forget where something was, but I thought the hints were excellent. I got stuck a number of times and was able to figure it out without having to resort to the walk through. I'd love to play the sequel. One of my favorite games to date. 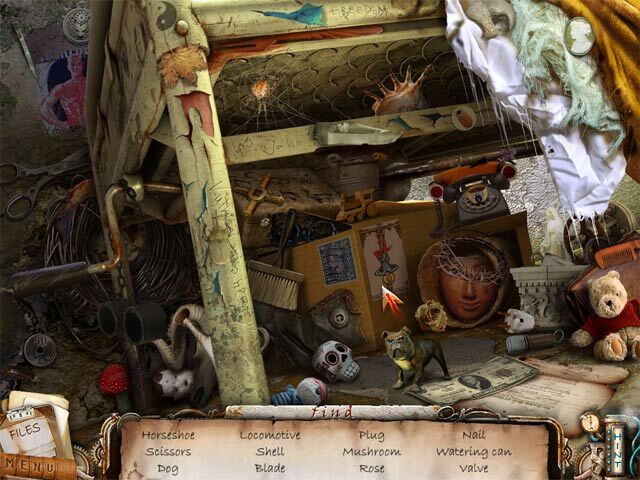 Rated 5 out of 5 by mrm2006 from Great Game The storyline of this game is that you have basically been "kidnapped" by a secret group that is using your paranormal skills for no good and you are going to be "executed" the next day. Therefore, not only are you eager to escape but to help others within the asylum escape as well. The place is old, dank and deserted looking and you have a guardian angel who looks in on you from time to time. I played both the SE and CE and didn't use the strategy guide at all. In fact, I finished the demo with 12 minutes to spare and was all agony because I couldn't save my first person - so close! The graphics are ok, the music appropriate although I tend to tune that out. No voiceovers. The hint button recharges quickly and the HOGs are frequent, easy and not difficult to find items. This would be a great game for beginners on up. Glam-ma says you have to at least try the free trial - it's on my top 10 games to get. Rated 5 out of 5 by panicbear from Different, and fantastic, though not perfect FACES has an intriguing storyline, and maintains a fun level of challenge throughout. You play a character with special powers who needs to free herself and other gifted individuals from a secret facility. It's a little different from the more common 'solve a mystery'/'find a missing person' plots that populate a lot of HO games. And the plot works very well to provide good structure and pacing for the game. It also means that you're exploring a modern hospital environment with a distressed, grungy, gothy vibe. At times the motion graphics were a little rough. And a few times you're sent back to the same HO scene to find some of the same objects. The standard version ended with an out-of-nowhere cliffhanger that seemed to be nothing but a come-on to buy the collector's edition with the extra content. Still, those were minor detractions from a well-made game with an involving story. For the most part it's great-looking in a modern, messy, decayed way, and there was plenty of variation and challenge to keep me moving steadily through the game. 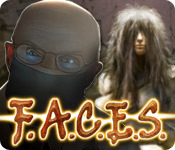 I had a great time playing FACES, so despite tiny quibbles, I still score it with five stars. Rated 5 out of 5 by Tessa1111 from Absolutely is never boring...keeps you playing continuously until the end. Loved this game.....hope the creators make some more. Rated 5 out of 5 by ibtxn from Want another by this group... enjoyed it! I got a lot of pleasure from this game. A bit of a challenge for me, hard to stop playing. Great addition to my find it games...loved it. When a medical consultation goes terribly wrong, it's up to you to realize the full potential of your ability and save the day!